The ‘Flamme de la Paix’ monument lies on the northwestern outskirts of Timbukutu, Mali. There, on 27 March 1996, hundreds of weapons were symbolically destroyed, and representatives from the Malian government and Tuareg rebel movements promised to promote peace and reconciliation in a region wracked by bitter conflict. But 16 years later, the country descended into its worst crisis ever. Mali’s north, including Timbuktu, was overrun by both Tuareg separatists and Jihadists; the south witnessed a coup and the temporary collapse of the democratic system. The recovery process remains fragile. The monument is in the Abaradjou neighbourhood, reportedly home to radicals from Al-Qaeda in the Islamic Maghreb (AQIM) and its allies during Timbuktu’s 10-month occupation. A local mosque served as a spiritual centre for AQIM’s Salafist supporters. Just a few minutes’ drive from the monument is a hotel - now closed - where a German tourist was shot dead and three others were kidnapped in November 2011, crimes for which AQIM is thought to be responsible. Locals warn that the town turns into desert here, giving abductors an easy getaway. During the occupation, retired academic Diadié Hamadoune Maïga served as the president of Timbuktu’s crisis committee, an informal group of community leaders. He would relay the population’s concerns to the Islamist authorities. The Tuareg-dominated militant group Ansar Dine issued edicts in Timbuktu, imposing Sharia law and suggesting they were in control, but Maïga believes real power was with AQIM and, above all, with Abou Zeid. A griot performs on wedding day. “We have had nothing like this in months," said the brother of the bride. Zeid, an Algerian national, was a top AQIM commander. He was implicated in high-profile kidnappings and sentenced to death in absentia for terrorism in his home country. AQIM finally confirmed Zeid’s death in Mali’s far north in June 2013, months after Chad and France had released the news. But for many in Timbuktu, the actions of Zeid and his loyalists defied logic, centuries of cultural history and even the Koran. There was one amputation, a punishment for alleged adultery, in Timbuktu during the occupation, say residents. Floggings were also administered to alleged adulterers. Men and women were segregated, and normal festivities were curtailed. These impositions were based on a version of Islam alien to Mali. The Islamist enforcers were also seen as clumsy and poorly led. Today, in the market, women traders laugh at the memory of being arrested for selling tobacco by Islamist purists, whose efforts made huge fortunes for cigarette traffickers. Kadija Moussoudou, a mother of eight, is back selling tobacco, alongside onions, dried tomatoes and hibiscus leaves. “I had to give up all of this during the occupation,” she recalls. “It was too frightening to be around here. I was heavily pregnant, but I would not leave town. The police chased me. I fell over and just got into my house in time. An officer was threatening me with his gun while I hid under a mattress. But I survived. So did the baby”. 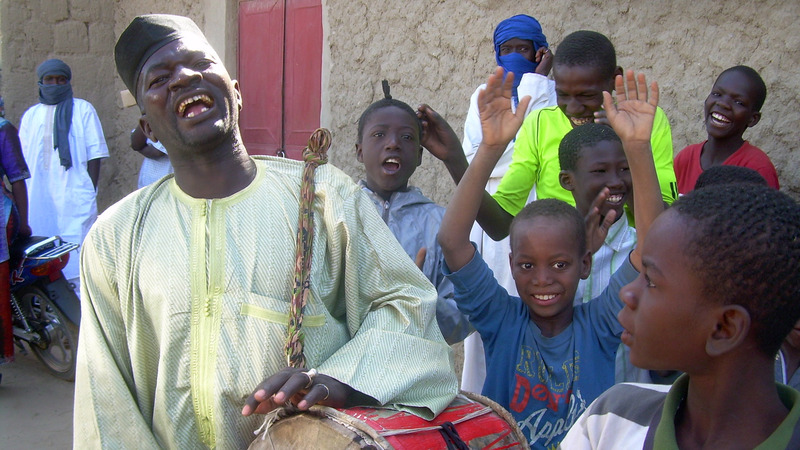 Abdoulaye Bouya lives across from the Djingareyber Mosque, Timbuktu’s most famous landmark. There, Islamists attacked two of the main tombs. Bouya organized an underground opposition movement, but his dealings with the younger Islamists convinced him they were not ideologues. Rather, they were “ignorant youngsters, probably taken from poor families and easily manipulated”, he said. “Ask them a few questions and they would crack,” he added. “Many of them drifted away from their movements as the money ran out and they lost their belief." Bouya, the director of the Sidi Mohamed II School, tried to keep classes open during the occupation. “A lot of the teachers had fled, but you couldn’t just leave children out on the streets. We approached the new authorities, including Abou Zeid, and said we could offer a slimmed-down service from a few schools, and they agreed." But complications emerged. “There were things we just didn’t understand. You take down the Malian flag. You separate the boys from the girls. Then they come and tell you, ‘As of now, the programme is going to change,' and you find it is all about Islamic education. Bouya ran secret classes out of his home until word got out and he was arrested. It could have been worse. “Luckily, I was teaching a boys-only class,” he said. Schools are now open again, though they face shortages of materials and teachers. At Sidi Mohamed II, over 50 students - girls and boys - attend a French lesson together. The teachers say they are on the look-out for children suffering after-effects of the conflict. The city’s famously cosmopolitan markets are slowly returning to life as well. Arab merchants have traditionally dominated local trade, but many fled during and after the occupation. Cheikh Sadibou, an Arab trader selling tea, sugar, sweets, gum, and other basics, reluctantly joined the exodus when the rebels pushed into Timbuktu in March 2012. Sadibou and other traders speak of reduced tensions and the stabilization role played by troops from Burkina Faso with the UN Stabilization Mission in Mali (MINUSMA), who share patrol duties with Malian security forces and French soldiers. The occupation may be over, but there is still a curfew in place: 8pm for local residents, two hours earlier for UN personnel.